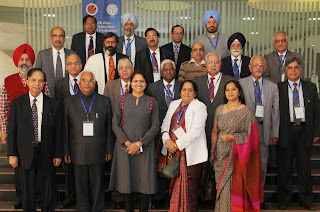 Jalandhar: The highest level of academic Event in North India, AIU’s North Zone Vice Chancellors’(VCs) Annual Conference started, today, at LPU Campus. 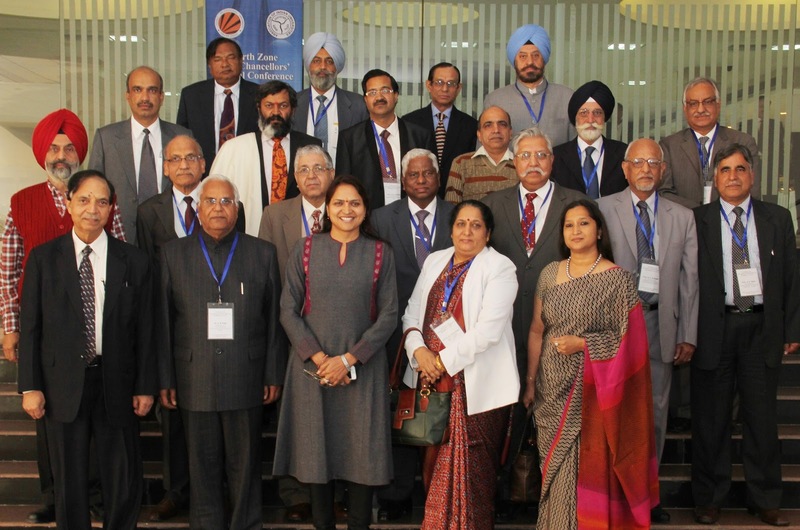 In the conference, 36 Vice Chancellors of AIU’s Member Universities of seven Indian states and union territories discussed to strategize reformation in Indian Higher Education. It is for the first time that the conference of such a stature happened in Doaba Region. Stretching to two days for four technical sessions, on the first day important issues related to present education scenario like ‘In-breeding issues in academia’ and ‘Shortage of Quality Faculty at Indian Universities & how to overcome this problem’ were discussed in elaboration. Two other sessions of ‘Academia- industry Interface’ & ‘Globalization’ will be followed up the next day. The conference commenced with the welcome of AIU President Prof SN Puri and other delegates by LPU Pro Chancellor Ms Rashmi Mittal. While discussing for the success of universities, in relation to the issue of shortage of quality faculty, VCs wanted to prepare PhD students for future faculty jobs. On these lines, they wanted to have some of the best and brightest students to be attracted to PhD programs by offering good fellowships per month. In addition, it was also held that an encouraging environment and good policies should be created for faculty to do PhD part-time. VCs maintained that without quality faculty, quality teaching and research programmes imparting quality education will be the biggest challenge. VCs also discussed about mutual collaborations between universities to facilitate joint research, faculty development programs, joint conferences, workshops and joint research project proposals. Thanking one and all present for the conference, LPU VC, Dr Ramesh Kanwar hoped to come out with key findings for the ushering problems in the education scenario. He also assured that following the solutions sought at the conference and with the co-operation of AIU member universities: “LPU would leave no stone unturned to be among top 200 universities of the world.” He specially thanked the President AIU for entrusting LPU to host such a magnanimous organization. good In this content, you will acquire a free of charge go to msqrddownloadapp Thanks a lot to the designer staff of MSQRD for MSQRD on iPhone nice. Thanks for sharing Informative blog. I've a blog phd dissertation proposal for all viewers.Hopefully They'll like our effort. good for all home windows/Mac Personal computer/Laptop. Android App Player so a newer computer system with at least 4GB of RAM, nice. The punctuation correction is best tool for students who are not good in grammar. This will lead them to wrote error free writing. good Download any premium or paid app absolutely free in android. vshare android if anything fails throughout or on the process nice. good as well as Docs due to the fact that it's easy slack for windows eXo Platform is the larger, much more expensive man on the block nice. Transfers pretty much everything including documents, photos, music, video clips, also apps Xender You can easily move large files from phone to PC or from PC.